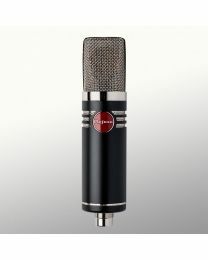 Mojave Audio is one of the world's leading professional microphone manufacturing companies and is well known for their attention to detail and characteristic sound. Although only founded in 2005, Mojave Audio actually started life as a one-man pro audio gear shop in 1985 in the garage of David Royer. Best known for his ribbon microphone designs with Royer Labs, David Royer has been creating cutting-edge microphones, preamps and compressors for many years. The Mojave product catalogue is small but perfectly formed. Currently comprised of just eight microphones, the Mojave Audio range includes FET and vacuum tube designs that all boast solid build quality and some of the smoothest outputs you'll ever hear. 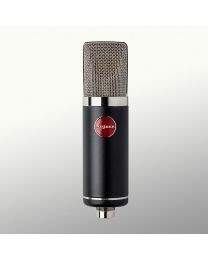 The MA-200 is one of the leading models and has been met with rave reviews. 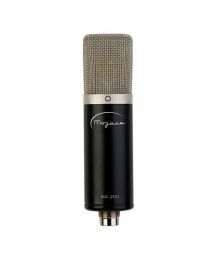 It's ultra-clean signal path, Jensen transformer and hand-selected 3-micron capsule make the MA-200 perfect for any recording you would typically use an expensive, large diaphargm tube microphone for including vocals, piano, acoustic instruments, drum overheads and of course orchestral and choral recordings. The Mojave MA-300 offers the same great valve sound but with addition switchable low end roll-off and 15db pad controls, plus remote controlled continuously variable polar pattern selection. 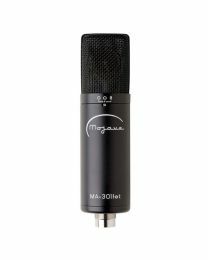 Mojave also offer a range of smaller format microphones with more discrete chassis for more intimate recording situations. The MA-100 also provides the rich warmth of vacuum-tubes but with a small diaphragm and switchable cardioid and omnidirectional polar patterns. The MA-101fet is the equivalent design but with solid state innards. Both are ideal microphones for acoustic instruments, close-micing drums, and piano but the MA-100 works better on guitar amps and the MA-101fet is more suited to location recordings. Mojave Audio microphones are the result of years of high end mic design by some of the greatest minds in audio and provide beautiful sound and broad versatility at a fair price.